Daniil Gunitskiy has dedicated his career to expanding educational opportunity in the Phoenix-area. 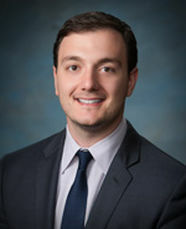 He is currently the Managing Director, Chief of Staff in the Teach For America – Phoenix region and has served on the Phoenix Elementary School District Governing Board since January 2015. Mr. Gunitskiy began his career in education as a middle school science teacher. During this time, he helped lead his students to significant academic gains, sponsored the student government and coached several students to successful appearances at the state-wide science fair. He then worked in higher education at Arizona State University, focusing on community engagement and social entrepreneurship projects. Mr. Gunitskiy also serves on the City of Phoenix Youth and Education Commission and is a fellow in the Valley Beit Midrash “Start Me Up!” program, an initiative to spur Jewish social entrepreneurship in the Phoenix-community. He is also past participant of the Center for Progressive Leadership program and served as secretary on the CASA Academy Governing Board. He holds a Master of Education Degree from Arizona State University and completed his undergraduate studies at the University of Michigan, where he graduated with honors in history and political science.